The Lean-Meater is an ultrasonic instrument designed to measure the total thickness of the skin and up to three layers of back fat. The Lean Meater will display the number of fat layers detected and the total thickness in millimeters with a greater accuracy than ever before. New features such as the automatic detection of the number of layers present and the display of the result. 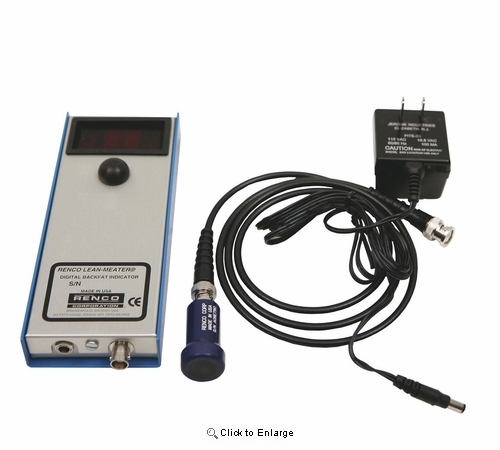 It is primarily used to measure th back fat in swine but can be used to take fat measurements in cattle, sheep and other land animals, as well as blubber measurement in aquatic animals. Measurements are non-invasive—no piercing of the skin with the consequent danger of infection. The animals are neither hurt nor irritated. 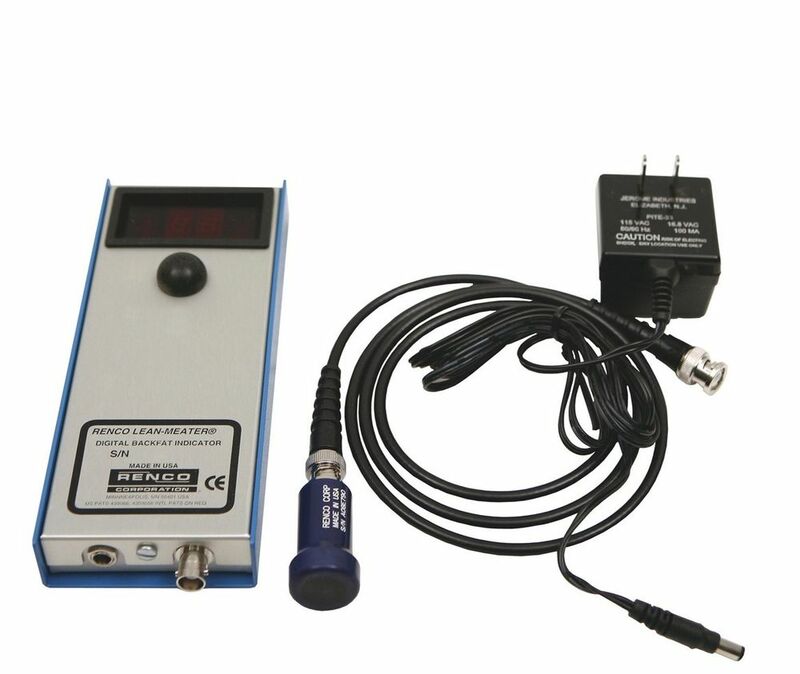 Sytem Contains: Lean-Meater instrument, probe, probe cable, charger, container for coupling fluid, test cylinder, instructions. All solid-state computerized circuitry. Environmentally protected circuit board. All-metal case. Operation - Measures back fat in 10 seconds or less. Signal given when measurement is complete. Range / Accuracy - 4-35 mm (0.156" - 1.365") +/- 1 digit. Battery Pack Life - Approximately 2-4 years (1000 charges/discharges). Operating Supply - 6-10 hours on full charge. Recharge in 12-14 hours.